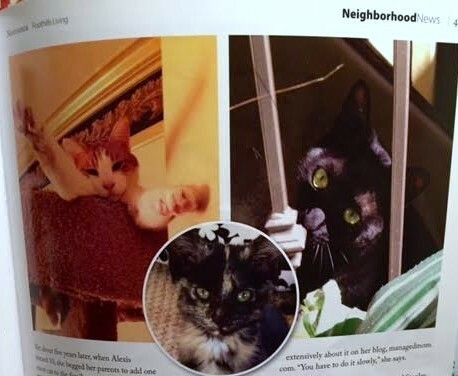 You are here: Home / Family Matters / Our Harris Home Cats Featured In Magazine Article! 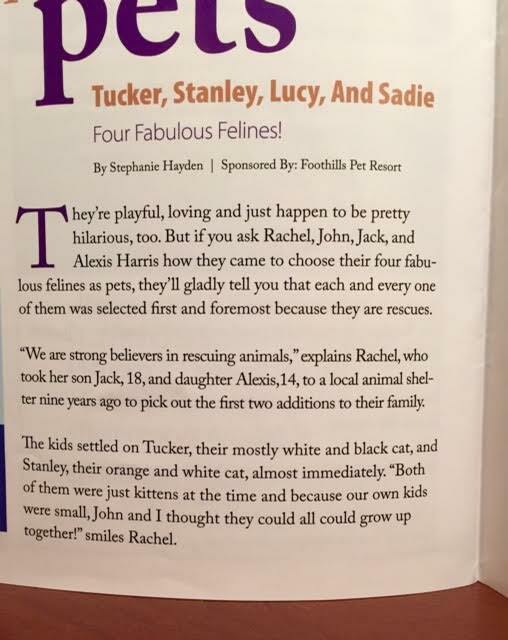 Our household has four fab felines who recently became celebrities with a magazine article all about them! 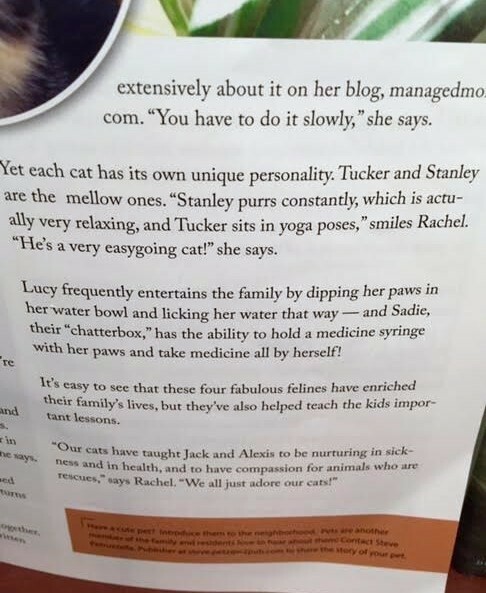 Yes, Tucker, Stanley, Lucy and Sadie are the star of the show this month. 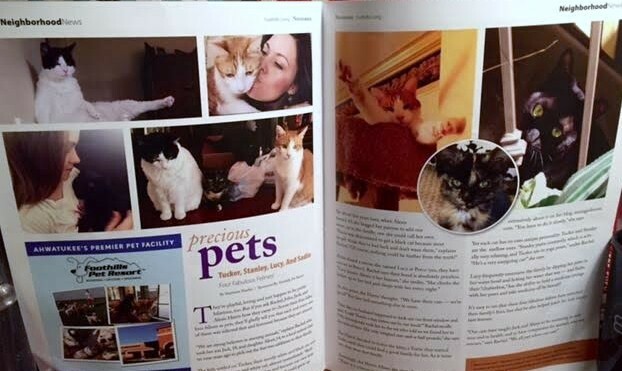 Foothills Living Magazine writer Stephanie Hayden asked to interview our four very spoiled furry family members and the cats gave me their blessing to speak on their behalf. 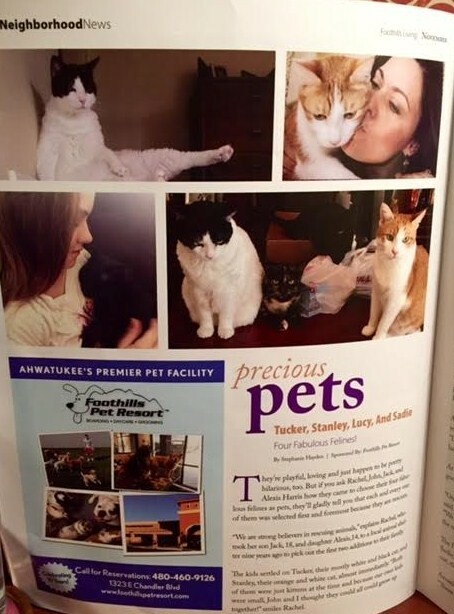 The article is now running in the November issue of Foothills Living Magazine and the kitties would be disappointed if their proud cat mom didn’t share it here in my blog, so take a look and remember to also be thankful for the pets in our lives during this holiday season. Four cats can be a lot of work, don’t get me wrong, but they give us a lot of laughs and love. How exactly did we end up with 4 of them, two boys and two girls?! 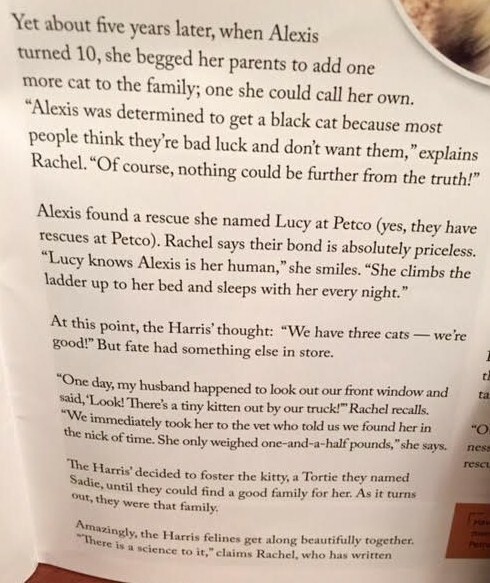 The answer is here in the short and fun article about our spoiled kitty cats…. That is our kitty story and the kitties are sticking to it! A big thank you to Stephanie Hayden for writing such a nice article about the fab feline foursome. They are more than a little impressed with themselves that they are featured in a magazine this month! Tell us about your precious pets in the comments section because we are also managed moms to our furry kids, too. EnJoyed the article featuring your four cats.